Whether it’s to record a live stream or create a video training for work, you often need to record computer screen and audio together. That should be easy, right? When you want a screen recorder with sound that can truly deliver amazing features for free, well, let’s just say your options are limited. No worries, however. I’m going to break down the best FREE screen video and audio capture software on the market today. The criteria are based on screen capture abilities, audio recording capabilities, sharing options, and user-friendliness. Screenrec will launch automatically after it is installed. 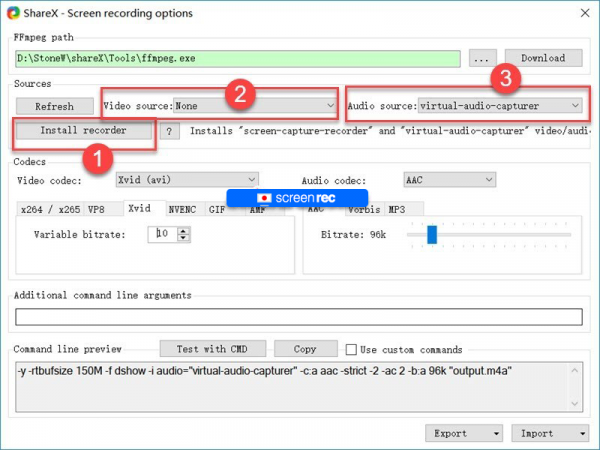 Screenrec can record your computer screen WITH sound coming from both your microphone and/or your computer audio. Believe it or not, this is a big deal as many other screen recording tools make it look impossible. The microphone is selected by default to allow you to add audio narration. To record system (desktop) audio, go to Settings and slide the system audio toggle to “On”. Press Alt-S or click the camera icon and then use your mouse to select a capture region. For a full-screen capture, click and drag the mouse over the entire screen. 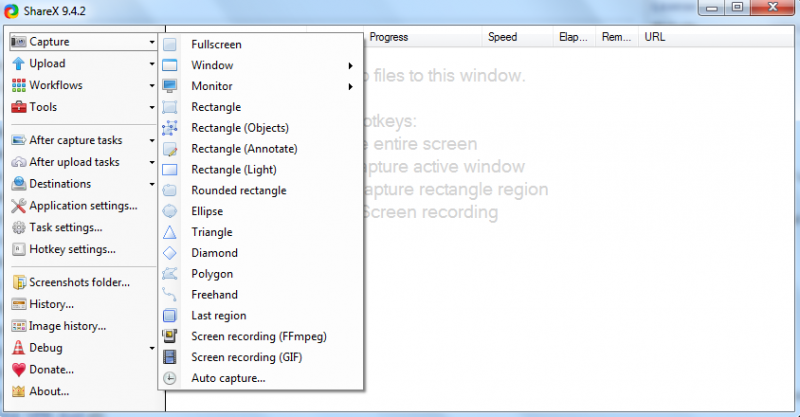 Once you select a capture region, the screen recording (screencast) will start automatically. You will see a big orange countdown, starting from 3. When you finish your screen and audio recording, a unique sharing link is automatically created. If this is the first time you are using Screenrec, you will be asked to create a free account. You can paste your unique sharing link in an email, a messaging app, directly on social media, you name it. Pretty cool, huh? Screenrec is actually the only free screen recording tool on the market that gives you a sharing link instantly. It is possible because Screenrec uploads your screen recording in the background (while you’re recording). So, if you ever forget to save locally or somehow accidentally delete your video, it’s already online! Not only is a sharable link automatically created, but your video screen capture is uploaded directly to the cloud in high quality. Click the gallery icon to view your existing recordings. Hover on a recording to preview it, get a sharing link or delete it. As far as user-friendliness, Screenrec is so simple, it’s insane. There are no complicated buttons or settings. You don’t have to think about encoding or uploading your video. It’s all done for you. With just a few clicks and within a few minutes, you can record your screen audio and video and share it. If you’re looking for a basic screen recorder, then ShareX is a good choice. It’s simple, easy to use and gets the job done. Think of it as the flip phone of screen recorders. Durable, reliable, and even with the advancement of today’s technology, somehow not yet obsolete. 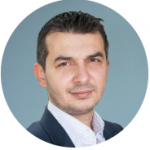 Sharex is definitely user-friendly simply because it has very basic functions. Reminding you of a Windows menu, the interface is minimal. This could be a good thing for those who don’t care for bells and whistles. But a little color wouldn’t hurt. Let’s just say it’s not very pretty. 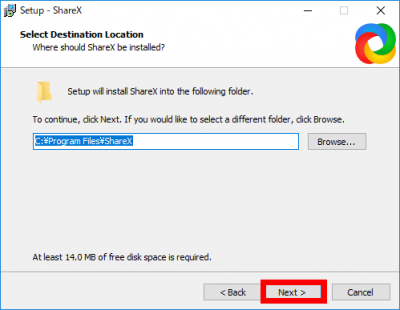 Here’s how to record your computer screen and audio with ShareX. Technically with ShareX, you can record your voice and/or your computer audio. Don’t get too happy, though. In order to create a screen video and audio capture, you have to download additional software, install it and make changes within the editing menu. You can, however, narrate with your microphone as you record your screen. If that’s what you need to do, I guess you’re in luck. 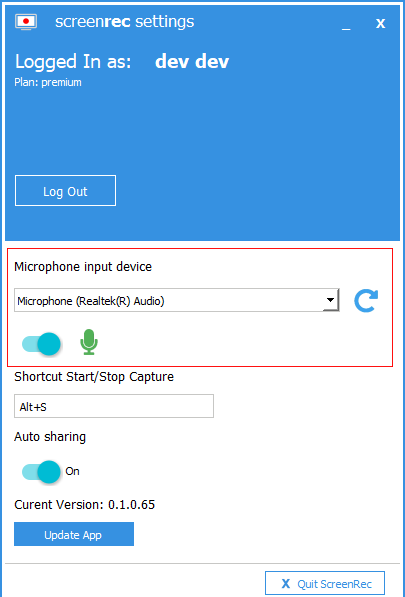 To record your microphone, go to Task settings > Capture > Screen recorder > Screen recording options > Audio source. Select “Microphone” as a new audio source. For screen capture with audio, click the “Install recorder” box on the left side of the screen. You will be prompted to download and install additional software. Follow the instructions. Once complete, choose “Virtual audio capturer” in the audio source drop-down menu. Click “Capture” found on the left side of the screen. Select the desired recording region and click “Screen recording” from the drop-down menu to capture video. There are dozens of sharing destinations that you can choose from and upload directly to, right from the ShareX menu. The only downside is that you have to wait for your recording to be uploaded. Click “After upload tasks” found on the left side of the screen. Select desired options to shorten, copy, or share URL. Choose “Destinations” to upload directly to a social media platform or website. 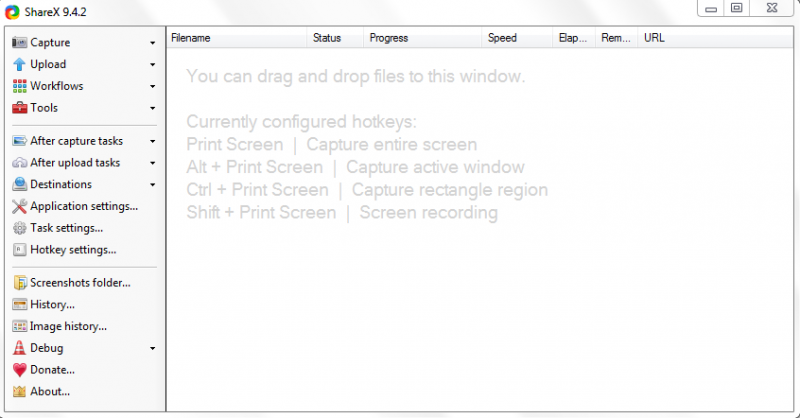 Once the screen has been captured, there are multiple task options in “After capture tasks”. Unfortunately, the best options apply only to screenshots and not video (ie; image effects, image editor, watermark creator, etc). The only thing you can do with a recorded video is to share it. Oh, and delete it, I guess. So… two things! Microsoft’s Expression Encoder is a popular recording solution that gives you more properties that you might have missed with ShareX. However, these extra options seem to come at the cost of clutter. There is so much to look at, so much to decipher, that, if you’re not a genuine techie, you might as well look for a tutorial on YouTube now. I don’t mind a bit of sophistication with my apps, but there is a fine line between sophisticated and complex. A line that Microsoft certainly crossed. The problem with Expression Encoder 4 is that it is clunky. The interface is much like a space shuttle control center—heavy with toggles, switches, and functions that you have to remember. One of the things you have to DIY is to actually encode your video. Once you’ve finished recording, you have to manually select “Encode” to receive your final video. It is not automatic. I’m sure with time, you will get the hang of it, but, if you want something simple and easy to understand, this is definitely NOT it. 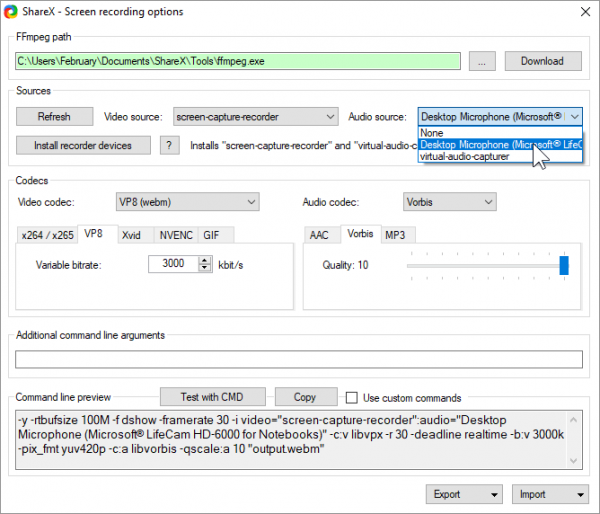 Here’s how to record your computer screen and audio with Microsoft Expression Encoder 4. Two different programs will be installed on your computer—Microsoft Expression Encoder 4 and Microsoft Expression Encoder 4 Screen Capture. 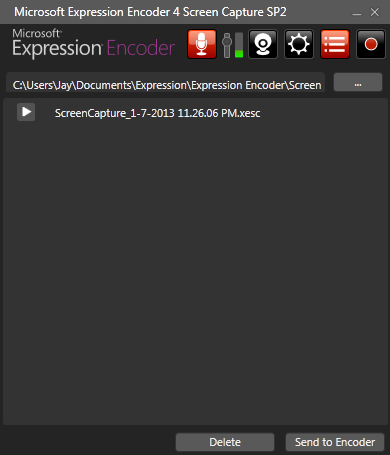 Make sure to start Microsoft Expression Encoder 4 Screen Capture (not the other program). You will see the recording toolbar. Recording audio is far simpler than it is with ShareX. When taking a screen capture, audio can be recorded from either the system speakers or a microphone without requiring any additional installations. All you have to do is choose the proper audio option in the settings tab and voilà! System sounds recorded. To record the Mic audio, click the settings icon within the user panel and check “Microphone”. To record the system audio, follow the same procedure but check “Speakers”. If you are using an older system, say Windows XP or Windows 7, you can forget about recording the computer audio. If there are any discrepancies between the systems audio output and the options within the encoder, you will receive an error message. In other words… your screen recording will have no sound. I also tried recording my screen and audio on Windows 10. I was successful with the microphone but, sometimes, ShareX simply refused to capture the system audio for no apparent reason. So, if you happen to have issues, don’t free. It’s not you, it’s the software. In all fairness, even though it might take you a while to funnel through the abundance of information, once you start recording, it is quite simple. The play/pause/stop functions are easily accessible. You could either use your mouse to highlight a recording area or choose specific menus or regions from the drop-down menu within the panel. To start the video recording, view the screen options by clicking the sun icon. Be sure everything is configured the way you like. 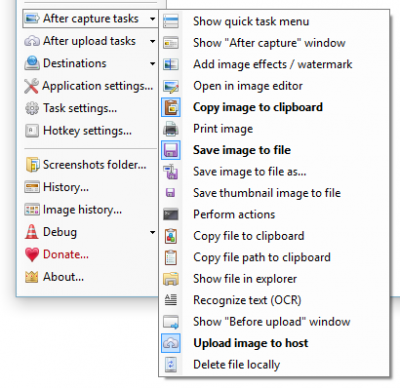 Choose your desired capture region by using the crop tool or choosing a window from the drop-down menu. When you select capture area, click the record icon to begin. If this makes you want to scream in horror and run, rest easy. You can simply click the Encode button at the bottom left of your screen and be done with it. Sharing your videos can be a bit tedious. Instead of having direct sharing capabilities like ShareX, you have to manually upload the video to YouTube after saving it locally. There is no simple “Share on Facebook” buttons or “Tweet This!” option. It’s 2019. We’ve all been spoiled and expect to share our creations in an instant. So, this is it! You now know three ways to record computer screen and audio. But how can you choose the right tool for the job? 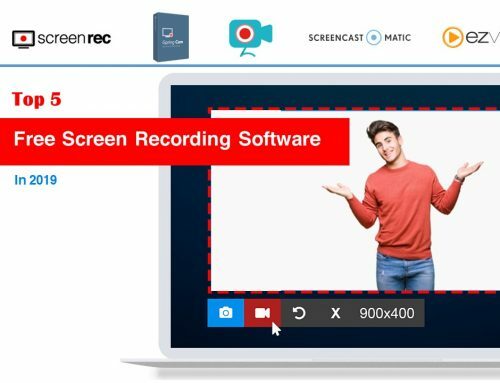 Well, if you are looking for a free and easy screen recorder with sound, then go with Screenrec (but be careful not to get addicted to the instant sharing option). If you’re familiar with ShareX and you don’t care about instant sharing, then that may be a viable option. 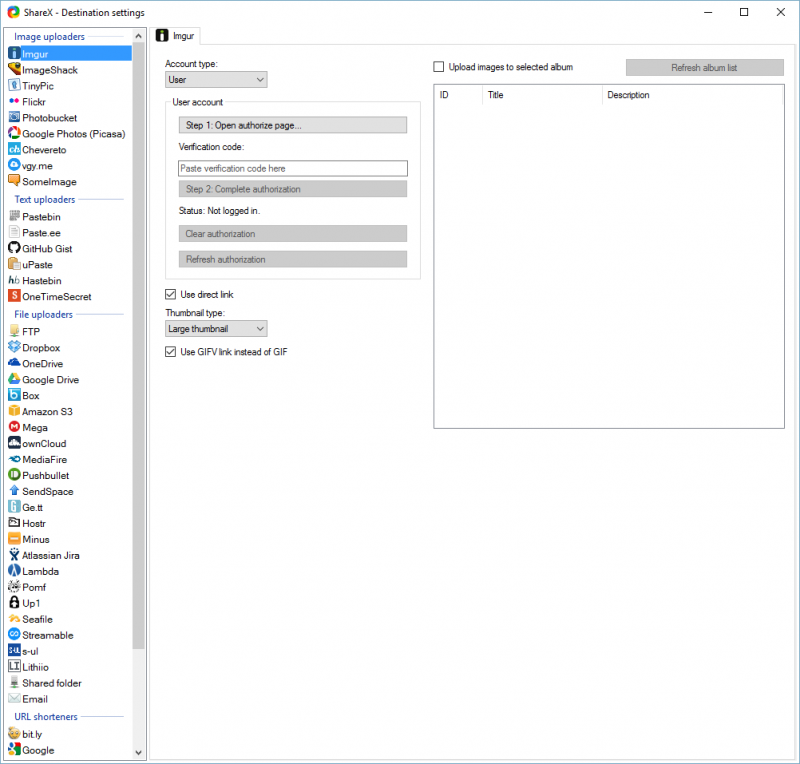 Finally, if you want lots of advanced features and you’re comfortable with encoding and uploading your screen captures manually, then the MS Expression Encoder might be what you’re looking for. 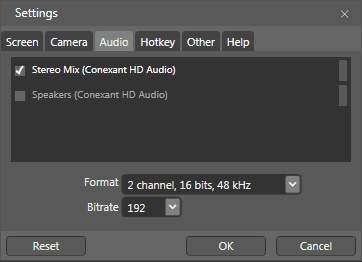 ShareX additional audio software I installed —“virtual-audio-capturer”. 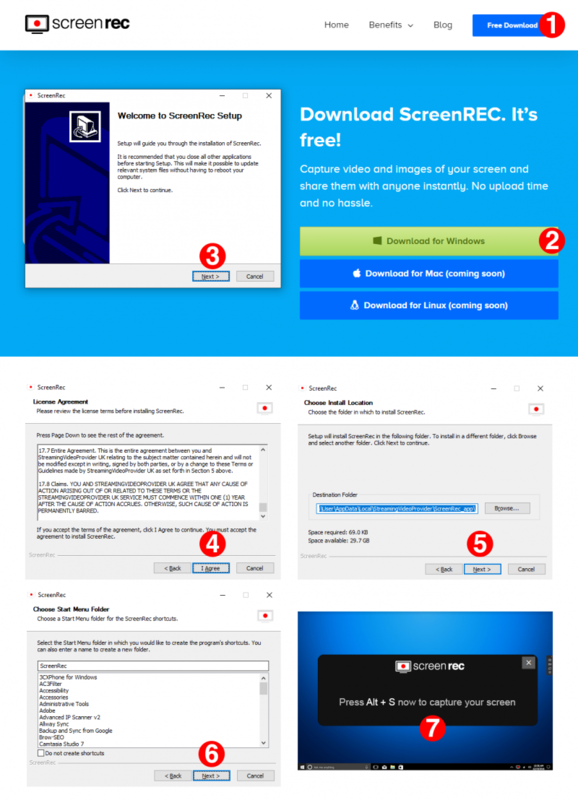 ScreenRec is a free screen capture software for Mac, Windows and Linux that comes with instant private secure cloud sharing link. © Copyright All Rights Reserved. Privacy and Terms.